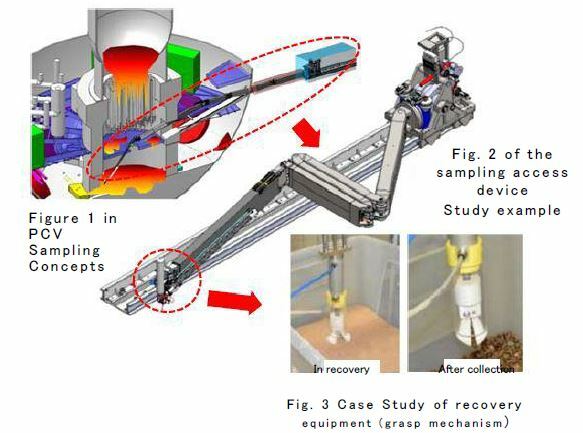 TEPCO and the associated research & decommissioning authorities recently published a new report outlining the effort to collect the remains of the melted fuel at Fukushima Daiichi. These tasks have developed into a routine process of concept, research, mock up then implementation. In the last year a better idea of what approaches they may use has been refined. There are still unknowns that could throw some of this into disarray. Some of those unknowns may not even be addressed in the current research. The “dry” method of fuel extraction was confirmed in 2017. It is likely that all three units will have both top down and side entry fuel removal work. This allows for the removal of residues in both the reactor vessel (RPV) and containment (PCV). The ongoing inspections will lead the research teams to confirm what unit will be the first to have fuel removal attempted. This decision is expected in the next year. It has been confirmed that the side entry fuel removal work would be attempted first. Since the top down method requires placing a large isolation cell on the refueling floor of a reactor building, this method may wait until spent fuel removal is completed. Fuel removal plan for the first unit will be established in 2019 fiscal year. They are currently planning the first removal work to take place around 2021. Since the side removal work has become limited in scope this work may be easier to accomplish. This would include all of the machines, isolation cells, maintenance equipment, safety monitoring, fuel canisters and waste storage. The effort to view all of this as one process will help identify compatibility and transition problems. Researchers need to understand the different behaviors when moving fuel debris from water to air, during the drying process for storage and how aging changes the fuel debris.Air drying of fuel debris for storage includes the risk of releasing volatile radioactive fission products during the process. Research at various labs began the year after the accident. Since then other countries have joined into the research work, mostly through government labs. One such effort is the characterization of fuel debris through lab experiments and gathering samples from reactors. By trying to understand exactly what is in the fuel debris and the properties of it, removal process will be more predictable. The types of analysis that would be done on actual fuel debris samples are being discussed. There is an existing radiation safe hot lab in Ibaraki that could potentially do some of this work. A new lab is under construction in Okuma near the disaster site. The hot lab there would be able to conduct research work on actual fuel debris samples while limiting the transportation needed to shuttle samples to the lab. 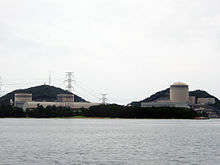 JAEA, the main nuclear research agency in Japan will run the lab. Information about the Okuma facility can be found here. Experiments to create mock fuel debris at JAEA lab facilities has been conducted in previous years. Molten core-concrete reaction (MCCI) experiments were conducted in 2016 to better understand what the fuel debris may be made of and what would work best for removing it. JAEA began a list of fuel debris characteristic estimates in 2012 and has been adding to this list each year. Simulated fuel debris was created at the CEA lab in France between 2016-2017. This provided some useful understanding of the likely composition of fuel debris and what isotopes may remain. Researchers tested the suitability of laser cutting on these simulated fuel debris samples. Chemical and physical aging behaviors in the fuel debris are currently being researched. Understanding how the fuel debris could change over time will help anticipate the state it may be in when actual fuel removal would begin. The X-6 penetration into containment that has been used before is assumed to be the standard entry point, other entry points are being considered on a unit by unit basis. Some of the things they want to investigate and confirm include the radiation levels near fuel debris, if debris is in a granular or lump shape and pedestal/shell erosion. The erosion issue includes the base of the concrete pedestal. It is known that molten fuel can burn through this area causing the pedestal to weaken. The inspections also plan to look for “shell attack” erosion. This is where molten fuel can burn through the thin areas of the joint between the floor and wall in containment. A vague plan exists to measure the depth of any found fuel debris and the condition it is in. Fuel debris inspections include both debris and sediments since debris can include fine materials. RPV (reactor vessel) inspections are now being planned. This work would help understand what fuel residues and damage may be inside the reactor itself. Most of the melted fuel is assumed to not be in the reactor vessels. The reactor vessel inspections are currently planned to drill into the RPV either from the top down, from the side at an angle or both. The top down method will require the ability to place equipment on the refueling floor. The side method curiously looks like the already installed entry building on the side of unit 2. These investigations could take place as early as late 2018 or some time around 2019-2020. Top down inspection system for looking inside the RPV. Images of a proposed scope camera are included. Implementing this method requires installation of an isolation building on the refueling floor. Unit 1 seems the likely first candidate for this type of inspection due to the refueling floor level being more accessible. Side inspection of RPV concept from the new report. 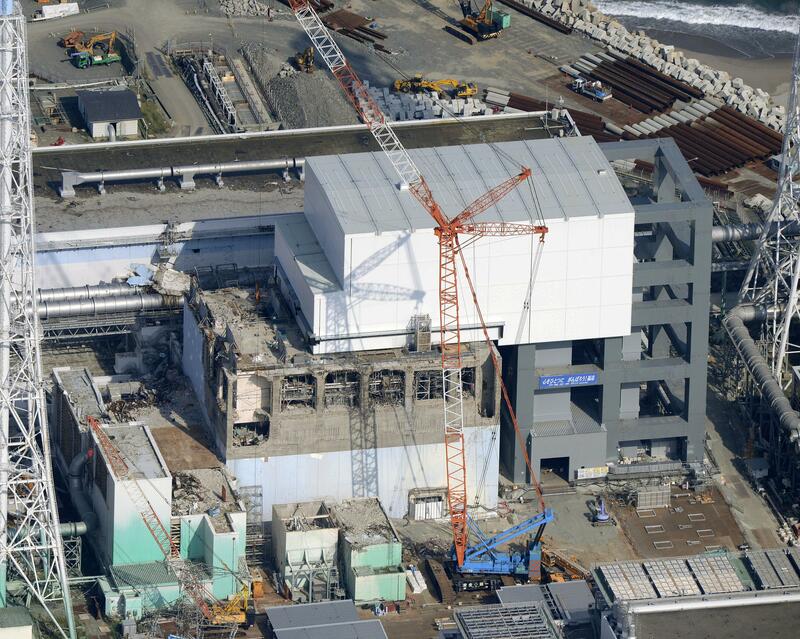 Notice the similarity to the unit 2 isolation entry building already in place. This concept drills into the RPV at an angle just above the core location. The current proposals for these two methods do not mention what would be done to properly isolate the drill holes once the work was completed. 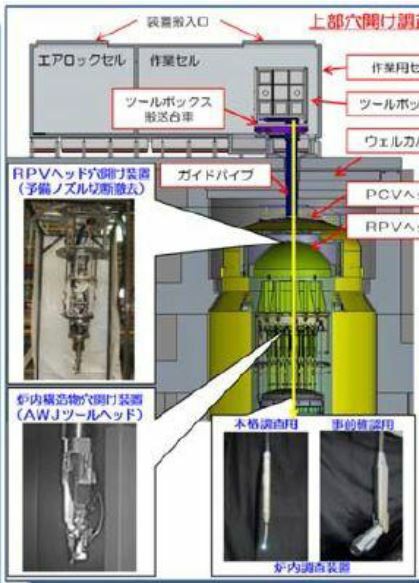 Plans to sample fuel debris out of a reactor containment by 2019 FY have been established. 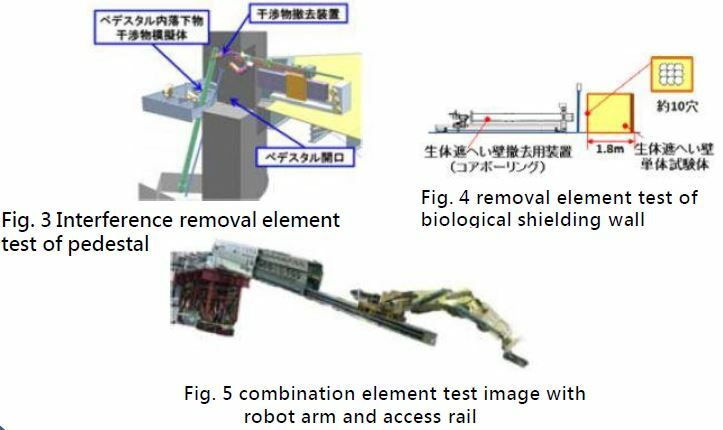 Transport of actual fuel debris samples from the disaster site to the hot lab in Ibaraki or Okuma is being researched. The hot lab facility being constructed in Okuma, near the disaster site may be ready by that time. The transportation would require approved transportation casks. There is a new concept for a sampling arm. This arm would reach in through the side of containment and attempt to retrieve a sample of fuel debris from the lower portion of the pedestal. No actual technology for these purposes has been outlined yet. Nitrogen injection and monitoring for fission byproducts are currently used to try to control hydrogen and to look for spontaneous fission in containment. These two problems (hydrogen and criticality) are a constant in any decommissioning research or reporting. As fuel debris would be cut it creates the potential for a criticality event to happen. This has the potential to cause radiation exposures and offsite releases. It would also be difficult to stop a criticality with limited access to containment. Hydrogen could be generated by the process of moving fuel debris or similar activities that could give fuel debris an opportunity to create spontaneous fission. A neutron detection system is planned for containment. This would help monitor radiation levels. Such a system would provide baseline neutron radiation readings inside containment and alert to any changes during work processes. A group of candidate detectors has been examined and tested in a lab against a Cobalt-60 radiation source to see what ones perform best. Fuel debris removal work raises concerns about releasing fuel debris as powders, fine materials, gasses or liquids. This work also has the potential to create worker exposures or criticality events. The process of cutting and removing fuel debris is assumed to create a significant amount of fine particulate material high in alpha radiation. How to manage this is part of ongoing research. A series of hydraulic arms were outlined in previous years and still appear to be the main concept for fuel debris removal. These arms could have various cutting or retrieval ends put on them as needed. The hydraulic systems avoid some of the problems with electronic robotics failing in high radiation areas. How to collect debris once cut then transfer it to shielded storage canisters is in the research phase. This work will include the need to be able to collect a wide variety of fuel debris types including: loose, sludge, fine (powder) debris, and crushed/cut debris. Storage canisters need to be developed and approved for use by Japan’s nuclear regulator. This is covered in more detail in the waste storage section. There is ongoing research for the concept of “entire scenario” this is the start to finish concept of installing equipment, removing & collecting fuel debris, putting the debris into storage containers, container transit and long term storage of the debris canisters. This hopes to work out the transition details and assure the individual components of the process work together. The three main types of fuel debris cutting currently being considered are: laser, boring, and crushing. France’s CEA has already done some research on a laser cutting device. Part of the research on any of these cutting methods includes how much dust, fine debris or chips are created during the cutting process and then how to deal with those byproducts. One of the more refined concepts for dealing with fuel debris removal is the retractable arm that would be brought in through the control rod drive rail area. This arm could be extended into the pedestal area to cut debris and load it into a canister. Canister placement and removal would have to be done by a separate system. This same platform would be used to cut any objects out of the way for future fuel removal. A sealed entry chamber(s) will be used to introduce and remove equipment and fuel debris from containment. These chambers will need to be properly sealed and/or welded in place. The current plan is to install these in the first floor hallways of the reactor buildings and use the two large entry hatches as the connection location. One may also be installed around the CRD rail hatch. 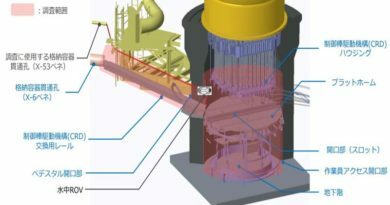 Side entry and also top entry into containment for fuel removal will require the cutting and removal of pieces of equipment inside the reactors. Various systems that were part of the operating reactor will need to be cut away and safely removed as highly radioactive waste before fuel debris removal could begin. Along with developing the equipment that would cut and remove fuel, a method for repairing and maintaining the equipment is required. 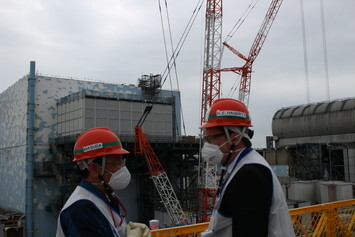 Workers can not go into containment to do repair work on the equipment. Equipment can not be removed to be repaired directly. A form of remote maintenance will be needed. This could also include the need to be able to retrieve a broken device. These two issues tie into the multiple risks involved in fuel debris removal. Proper confinement needs to prevent fuel debris dust from leaving the containment structure. Small particle alpha radiation is considered a major risk. These substances are dangerous if inhaled. Currently much of the plant site either doesn’t require a mask or only requires a paper mask. If fuel debris removal creates alpha radiation dusts that escape the containment structures there is a significant potential for people on site or nearby to inhale these particles. Tactics such as negative pressure inside the containment structures, nitrogen injection and sealing leak points are being considered to cut down on dust leaks from containment. 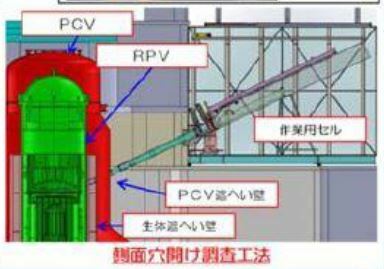 TEPCO also mentions there will be some effort at dust suppression during the fuel cutting and removal process. This could be something like a water spray or the application of dust inhibitors. Points that are more difficult to control would be leaks from containment directly to the ground. Unit 2 leaks water from somewhere in the bottom of the containment structure. There is currently no way to block fuel debris dusts from being carried away in that water as it leaks out. A concept being considered to at least prevent dust and small debris from migrating is to install a barrier along the bottom of the containment drywell that would prevent those materials from traveling into the suppression chamber. This would involve installing some sort of “weir” barrier inside containment. Further details of how this would be installed have not been provided. Water circulation is a more relevant issue in unit 3 where the retained water level is quite high. Dusts and fine particulate in that water would need to be controlled so those materials do not leak out. This also needs to be done to prevent spontaneous fission or a criticality accident. If these small materials can collect in the right geometry it has the potential to kick off a criticality incident. This makes water circulation more complicated and also more needed. A currently proposed water circulation system would connect to the containment structure either via the drywell level of containment or through the suppression chamber (torus). This requires connecting a system in areas of high radiation where entry is a challenge. Any such system would need to be both installed and maintained in these areas. This work would include some of the already researched methods for plugging or sealing portions of the suppression chamber to prevent leaks. This circulating water system would include water that could hold significant amounts of fine fuel debris, preventing those materials from further leaking to the environment would be key. There would also be a need for filtration of this circulating water. Such a filter that would likely be full of fine particulate fuel debris. This creates challenges for long term safety and a need for remote handling to avoid worker exposures. Part of the challenge in storing the collected fuel debris will include removing the canisters from containment safely. This process will need to not expose workers to significant levels of radiation and not allow any materials to escape to the environment. There is also research into a proper transit truck to move these canisters to storage. The report outlines both a “pool storage” and a dry storage concept for the fuel debris. A pool storage option seems unusual considering the problematic nature of extracted fuel debris. Dry storage would have more in common with spent fuel storage or the storage of fuel debris from Three Mile Island. The containers that would be used to hold fuel debris are of major concern. These would need to safely house the fuel debris long term. Preventing criticalities and hydrogen generation inside the containers is a technical challenge. They also need to assure the canister lids could stay sealed long term. These storage canisters would need a handling system. They would likely be too radioactive to allow direct handling by workers. Remote handling systems are already in use at US DOE facilities like WIPP for moving highly radioactive canisters. An aside to the fuel debris storage, there is also an effort to better characterize and monitor the other waste streams on site. These include solid wastes (building materials etc), wastes left over from water filtration and other radioactive wastes generated on site. Core cut samples of contaminated building concrete from various locations in the reactor buildings are being used to build a database of expected radioactive isotopes in those streams of solid waste. As more portions of the buildings are torn down and this material will be stored long term, understanding how it might behave is important. Problems were found around 2014 in stored water filtration canisters. The canisters had been generating dangerous levels of hydrogen. Better management of these waste streams could help head off a future accident or leaks to the environment. The long term need to keep certain structures within the reactor buildings intact until fuel is removed has created some counter measures. 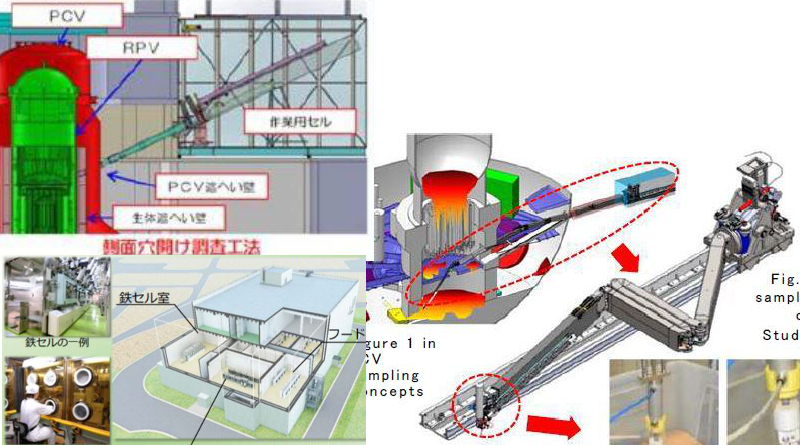 TEPCO and the decommissioning authority have mentioned in previous years of a concept where they would pour concrete to a certain level in the torus room. This would additionally support the metal torus tube. The original support systems for BWR Mark 1 reactors were known to be insufficient. Most plants had installed additional support legs to deal with this. Concerns about the current or future stability of the torus tubes at Fukushima has been going around since the initial crisis. This method to shore up the torus tubes appears again in the newest report and continues to be the chosen option to shore up this system. The base of the concrete reactor pedestal is assumed to have suffered some amount of erosion or damage from the meltdowns and molten fuel. Computer modeling assumes some amount of erosion and damage along the lower portion near the floor. Additional visual inspections of the pedestal structure may help confirm the extent of this damage. Future fuel removal work, earthquakes or other events could further compromise this structure that holds up the reactor vessel. Fuel debris sampling scenario, equipment design, and mock up tests due by end of FY 2018. Fuel canister and handling equipment specifications due FY 2018. Safety requirements for handling, transportation and storage of fuel debris due FY 2018. 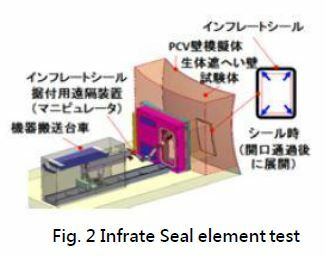 Basic research and concepts for containment confinement, dust inhibition, managing alpha radiation, water circulation and criticality management to be completed by end of FY 2018. By late FY 2019 basic system design is expected to begin. Demonstration of fuel debris removal technology FY 2019. Fuel debris sampling FY 2019. Basic technology concepts for RPV inspections, fuel debris removal devices, fuel debris storage and water circulation by FY 2019. Prototype storage cans FY 2019. Creation of a database of materials in all waste streams by end of FY 2019. Better prevention & management of hydrogen generation in waste streams by end of FY 2019. Work cell, diffusion prevention, removal of interfering objects, containment monitoring technology and fuel removal equipment maintenance concepts are due by the end of FY 2018. From FY 2019 To FY 2020 R&D on actual technology will take place. Mock-ups of the needed technology are due after FY 2020. Fuel debris sample analysis 2020 or later. Begin fuel removal from first unit 2021. Some of the needed research work still presents considerable challenges. Other aspects of this work rely heavily on existing technology used at nuclear facilities in other countries. Government nuclear weapons labs present the main source of this technology. The systems that have been developed to test technology before attempting to implement has helped prevent some of the unfortunate surprises seen in the early years of the disaster. That doesn’t mean that these technologies don’t have the potential for unexpected problems or outright failure of some aspect of the disaster is overlooked. These technologies may not address all of the problems at the disaster site. Much is still needed in understanding the total extent of the damage, location of the fuel and events that took place during the meltdowns.